You are currently browsing the archives for the MMA category. The stars of the UFC GO BIG events meet for a press conference and rivalries quickly heat up. Kick off the GO BIG season with this intense war of words. Hilarious interview with Conor McGregor pre UFC 189. Whether his opponent is Jose Aldo, Mendes, or even Mayweather, Conor is confident that he will obliterate them. Jimmy chooses a safe word and has Ronda Rousey demonstrate her arm-breaking MMA maneuver. Smart move Jimmy, smart move. At UFC 141 at the MGM Grand in Las Vegas, Nevada, former UFC Champion Brock Lesnar announced his official retirement from the UFC after suffering his second straight loss, this time to former Strikeforce Heavyweight Champion Alistair Overeem. After taking several shots to the body and a final “K1 Kick” to the side, Lesnar fell to the ground in the first round ending his 3rd fight in the last 2 years. Lesnar stated that he has had a rough 2 years suffering from his diverticulitis disease which required multiple surgeries as well as a large portion of his intestines being removed. He promised his wife and children that if he lost to Overeem, he would retire. If he had won, he promised to retire after his championship bout with UFC Heavyweight Champion Junior Dos Santos. Overeem is now set to faceoff for the UFC Heavyweight title against Junior Dos Santos at a future UFC Event. Rumors are swirling that Lesnar may return to the WWE, but according to Dana White, Lesnar is retiring while under contract to the UFC. It remains to be seen if a deal and return will be worked out with the WWE. 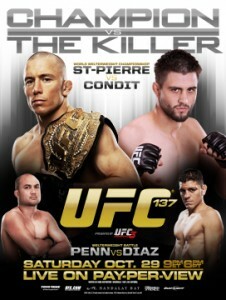 First it was Nick Diaz vs. Georges St. Pierre for the Welterweight Title at UFC 137 in Las Vegas. Then Diaz failed to help promote his fight and was pulled from it and put into a non title fight with BJ Penn. UFC President Dana White then choose Carlos “The Killer” Condit as Diaz’ replacement and declared that it would be Condit vs. GSP for the Welterweight Title. Well now it looks like UFC 137 will have to change their main event again. Due to a knee injury sustained while training on October 18th, Georges St. Pierre has officially withdrawn from his fight with Carlos Condit. Dana White confirmed the news on his Official Twitter account. Instead of replacing GSP in the main event title fight, the fight itself has been dropped from the card and will be rescheduled when GSP is able to train and compete. According to GSP’s head trainer Firas Zahabi, GSP will be out at least a month, although the exact extent of the injury and recovery time is still unknown. According to sources, UFC Light Heavyweight contender, Phil Davis has suffered a left knee injury. Due to the injury, he will have to withdraw from his UFC 133 Co-Main Event match with former champion, Rashad Evans. Davis and Evans were scheduled to meet at UFC 133 on August 6th, but now the UFC is scrambling to find a replacement. 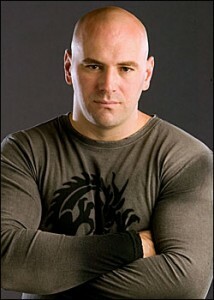 MMA Fighting writer, Mike Chiappetta reports Tito Ortiz was offered Davis’ spot by Dana White but was turned down. Dana White confirmed this in a text to MMA Fighting. This would have been a rematch of the controversial Evans vs. Ortiz match in 2007, which gave Evans the win. Speculation is that Ortiz (winner of his first fight in 5 years) turned down the spot due to insufficient time to prepare for the fight. The current name floating around as a replacement is Lyoto “The Dragon” Machida but nothing is confirmed at this point. As of now, Rashad Evans remains oponentless. Should Evans remain on the UFC 133 card, whomever the opponent may be will also potentially suffer from a lack of preparation time. UPDATE: According to Dana White and Tito Ortiz’ Twitter Account, Tito Ortiz will in fact replace Phil Davis. Strikeforce: Fedor Emelianenko vs. Dan Henderson, takes place July 30th, 2011 on Showtime. Will this be Fedor’s last fight? Loser of 2 in a row in shocking fashion (tap out, doctor stoppage), Fedor prepares for another fight after strongly considering retirement. Emelianenko returns to the cage to face Dan Henderson, if Emelianenko does not win, many expect him to retire. In his last fight with Antonio “Bigfoot” Silva, Emelianenko wilted in the second round as Silva passed to mount, Silva unleashed a furious ground-and-pound on Emelianenko that left him bloody and swollen. Emelianenko wanted the fight to continue, but his right eye had swollen so much that ringside doctors called a stop to the fight, claiming Emelianenko could not see. Immediately after the fight, Emelianenko implied he may retire after losing 2 in a row. Through a translator he said, “Yes, maybe, it’s the last time. Maybe it’s high time. Thanks for everything. I spent a great beautiful long sport life. Maybe it’s God’s will.” But after some time, it was clear that Emelianenko was speaking on emotion as he planned to fight again. But will a third loss in a row convince Emelianenko to retire? Or will a victory keep him going? We can only wait and see. Jones and his Coaches (Greg Jackson & Mike Winklejohn) went to her aid and began to chase the wanna be robber down. When he was able to catch up to the robber, Jones took his legs out and placed him in what Greg Jackson called as a “funky figure four leg lock.” Once subdued, Jones’ coaches held the theif at bay until local police arrived. Afterwards, Jones tweeted about todays pre-fight event. “It feels so good to help others. It gives me power and energy. I caught him. Coach Jackson finished him. “ According to Jones’ Twitter, the thief smashed into an old ladys car window and ran off with her GPS. Below is a picture Jones’ driver took while they waited for local police. Jones faces off against Shogun Rua at tonights UFC 128 in Newark, NJ. UFC Purchases Rival Promotion Strikeforce. BREAKING NEWS: Dana White, UFC President, confirmed with MMAFighting.com that the parent company of UFC, Zuffa LLC, has purchased UFC’s rival promotion Strikeforce. You can now add Strikeforce to the list of rivals that UFC has purchased after PRIDE and the WEC. 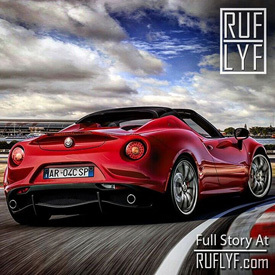 Many fighters had heard rumblings of the purchase but were unaware of the validity of these rumors until today. White explained the purchase as an acquisition, not a merger and as part of UFC’s goal to expand its talent world wide. UFC President Dana White says at this time there will be not be a merger of rosters. Strikeforce talent will remain on its roster, separate from UFC’s roster. Although some MMA fans will be disappointed because they will not see highly anticipated cross promotional matches, according to White. Strikeforce will continue to run with business as usual and as its own legal identity. Fighters, broadcast contracts and other employee contracts will not be change. Strikeforce CEO Scott Coker will also continue his relationship with the company and continue to run the day to day operations. Update 3/14/11: Forza, LLC, a Subsidiary of Zuffa, LLC (company that owns UFC) has announced today, March 14th, 2011 that they have officially purchased Explosion Entertainments, LLC most commonly known as StrikeForce. Under this deal, all contracts will be continued to be honored by StrikeForce. 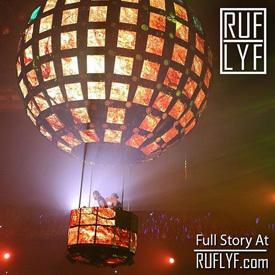 The long and historic career of Russian heavyweight star Fedor Emelianenko was filled with moments where he fought back from the brink of defeat, only to vanquish a bigger foe. But every great runs out of comebacks at some point, and for the second fight in a row, Emelianenko could not find the magic that had been the hallmark of his legendary run. Emelianenko took a hellacious pounding in the second round of his Strikeforce Heavyweight Grand Prix opening round fight against Antonio Silva and though he managed to survive the beating, it might have been the last round of his career. 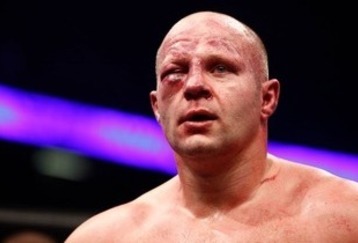 In between rounds, the fight was stopped due to swelling around his right eye that compromised his vision, and after dropping his second straight fight, Emelianenko admitted he might have fought for the last time. If it is the end, Emelianenko (32-3, 1 no contest) will retire as the most decorated heavyweight of all time. Some, however, seemed to think that calling it the end was a little premature. Both Strikeforce CEO Scott Coker and M-1 Global president Vadim Finkelstein said they believe Emelianenko would reconsider his words after he had time to get over the loss. Emelianenko didn’t attend the post-fight press conference in order to visit the hospital for a possible orbital bone fracture. UFC 126 from the Mandalay Bay Events Center in Las Vegas, Nevada on February 5, 2011 will headline two dynamic strikers in the middleweight division. Current champion, Anderson “The Spider” Silva, will put his 12 consecutive victories in the UFC on the line against fellow Brazilian, “The Phenom” Vitor Belfort. 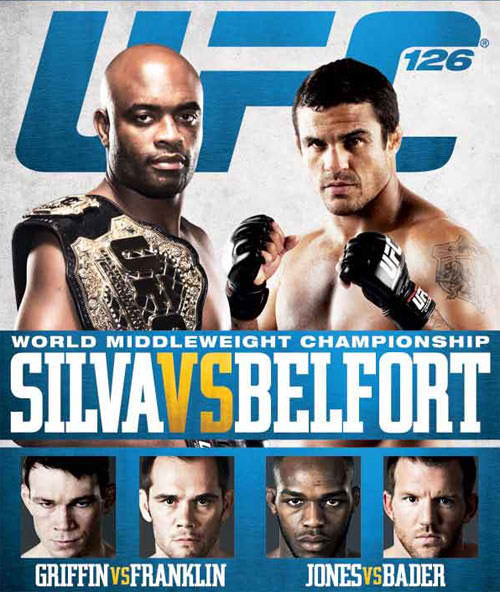 This explosive match up has been destined for fruition since Belfort’s return to the UFC in 2009. On February 5th, either the current champion Anderson Silva will remain the No. 1 middleweight in the world. Or, a new champion will reign supreme and history will be rewritten in Las Vegas as Vitor Belfort dethrones “The Spider” and becomes the UFC middleweight champion.